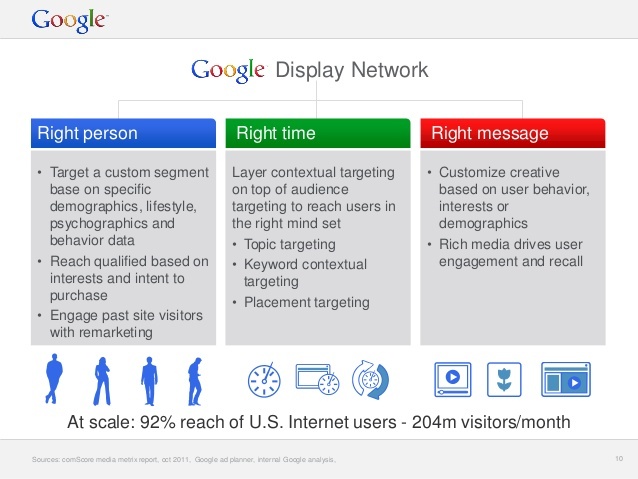 Google Display Network | Web SoCal, Inc. The price tag for remarketing is much lower than a standard pay per click search campaign. While a Google PPC search ad could have an average cost per click of $2-$3, a remarketing ad has an average cost of $0.25-$0.60. Ad retargeting is a powerful form of Google advertising, allowing advertisers to target and remarket to specific audiences who have visited their site. Get your existing AdWords account evaluated with the AdWords Performance Grader. Create high-performing PPC campaigns with WebSoCal team. The biggest difference between retargeting and remarketing is the strategy that’s used to reach potential customers who have left your website without making a purchase. While retargeting typically relies on cookies dropping ads, as described in the explanation above, remarketing usually uses email.